On our Thirdeye Visionaries website you will find several different Fine Art artists. If you don't find a link on their profile page to their own website or online store, you can most likely find some of their art for sale through our Thirdeye Visionaries web shop. 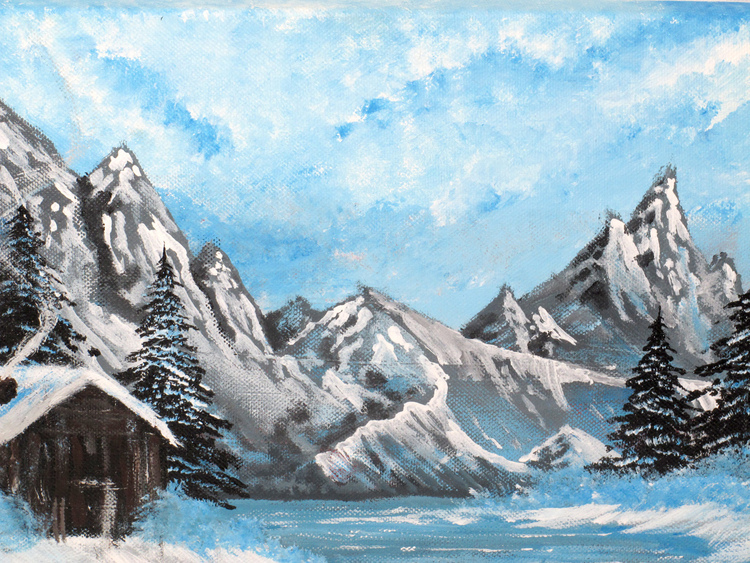 The Fine Art pieces you find here are either available as originals and/or as prints. We can offer prints on various different kinds of paper stock or as canvas wrap, which is as close to the original as you can get. If you would like to place an order for Fine Art, please send us an email with an image description (or name), and tell us what size you are interested in and we will provide you with the most updated pricing. Today I rise with the sea air, waves come and go… they stir me back to life. Inspiration of the moment, bodily sensations that open my pores, I give into your swing. Hoy me levanto con el aire marino, las olas me revuelven y devuelven a la vida. Inspiración del momento, sensaciones corporales que abren mis poros y me entrego a su vaivén. PRINTS: Available upon request. Please email thirdeyevisionaries@yahoo.com for information, the most current pricing etc. I feel my throat burst into a song, my third eye opens, I see out across the oceans and the mountain views, their proximity feels closer, stronger even, like a heartbeat. Siento la garganta estallar en un canto, el tercer ojo se abre, visiones traspasan mares y montañas y la cercanía es más fuerte en el latir del corazón. Always present, aligning, visions open, like a veil that is uncovered before my eyes, I see nature for the first time, I remember her. I sit with my knees on the ground giving thanks to thee, 'Pachamama'. Siempre presente, alineándonos, la visión se abre, como un velo que se destapa frente a mis ojos, veo la naturaleza por primera vez, vuelvo a recordar. Me siento en la tierra con mis rodillas y me quedo en una larga reverencia ante ti; ‘Pachamama’. PRINTS: Available upon request. Please email thirdeyevisionaries@yahoo.com for the most update info, pricing etc. The feminine energy that comes from within is stronger than I thought, sometimes only visible when needed, but remember that we are women of power, women of medicine, women full of love. La energía femenina que viene desde el interior es más fuerte de lo que creí, a veces solo lo vemos cuando es necesario, pero recordemos que somos mujeres de poder, mujeres medicina, llenas de amor. PRINTS: Available upon request. Please email thirdeyevisionaries@yahoo.com for more information. A midnight dream, half worn, my thoughts wrapped by a snake, there is a protection in dreams, a presence. 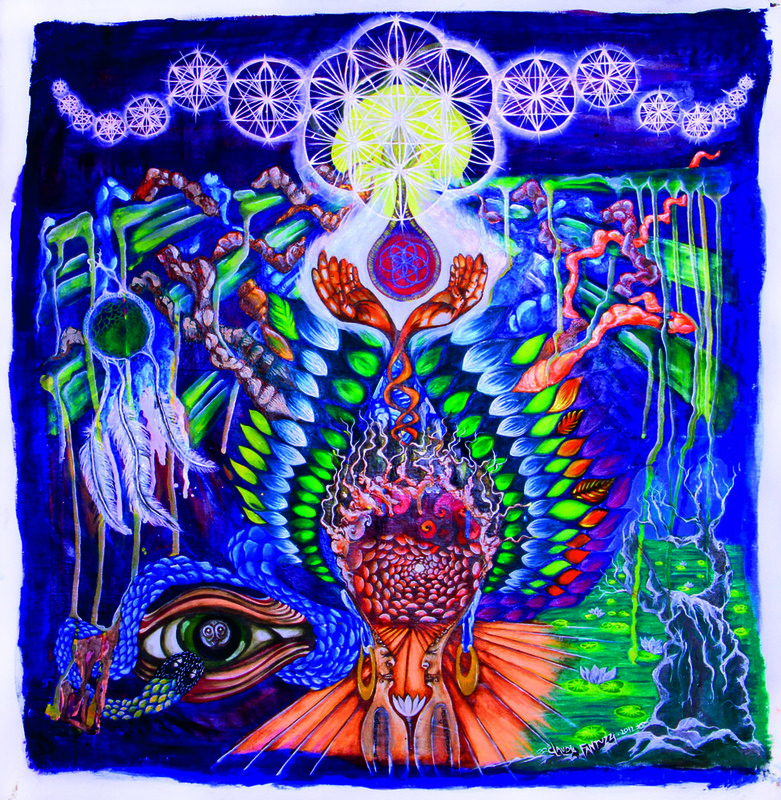 Everything you ever start, beautiful flower of life, I take you in my hands gently. Discoverings in the dream world, I wake up thinking of similar realities. Un sueño de medianoche, medio lucido, una serpiente se envuelve por mis pensamientos, hay una protección en los sueños, una presencia. Todo se inicio alguna vez, bella flor de la vida, te tomo con suavidad entre mis manos. Sueños encontrados, me despierto pensando en realidades parecidas. PRINTS: Available upon request. Please email thirdeyevisionaries@yahoo.com for information. The aim was to capture the essence of how the artist has been influenced and inspired by the traditions a cultures of both Indian societies. In the East, India is known for HInduism; the Elephant, the blue guy (Shiva), and the older gentleman in the front (known as a Sadhu) wearing a traditional Native American head-dress is a mix of the two cultures. When exploring the stories of the Native Americans you will notice how mother nature is revered as being a sign of the great spirit, the Bear, the Owl, and the Wolf playing key rolls. This is the first painting in a series of work exploring the two cultures..
PRINTS: Available by request - lots of options! Please contact us at thirdeyevisionaries@yahoo.com for more information! PRINTS: Available upon request. Please email us at thirdeyevisionaries@yahoo.com for more info! 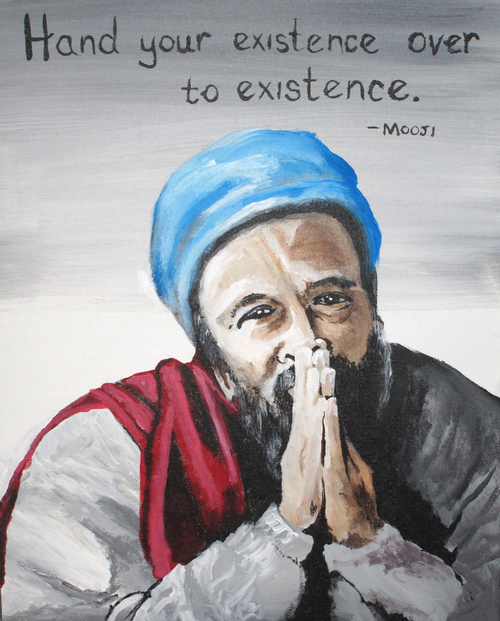 A painting in honor of the Non-Dual Spiritual Teacher named Mooji, with one of his quotes. PRINTS: Available by request - lots of options! Please contact thirdeyevisionaries@yahoo.com for more information. PRINTS: Available by request - lots of options! Please contact thirdeyevisionaries@yahoo.com for more information! Made on Valentines Day, 2013. The hidden embrace of two lovers creating a tree, the kiss between two faces hidden in the branches, and the couple of love birds add to the romantic scene of two young lovers by the edge of the water in the fall. PRINTS: Available by request - lots of options. Please contact thirdeyevisionaries@yahoo.com for more information. PRINTS: Available upon request - lots of options! Please contact thirdeyevisionaries@yahoo.com for more information. A slight deviation from the traditional Buddha.. Maybe a Punk, or Hippy, or New Age Buddha..
A painting dedicated to the Indian spiritual teacher Ramana Maharshi and his beloved Mountain Arunachala. PRINTS: Available upon request. Please email thirdeyevisionaries@yahoo.com for more info. The painting was made with the intention to capture the essence of how the artist has been influenced and inspired by the Native American Indian culture. Also inspired by other native american art. PRINTS: Available upon request. Please email us at thirdeyevisionaries@yahoo.com for more information. PRINTS: Available upon request. Please email thirdeyevisionaries for more information.